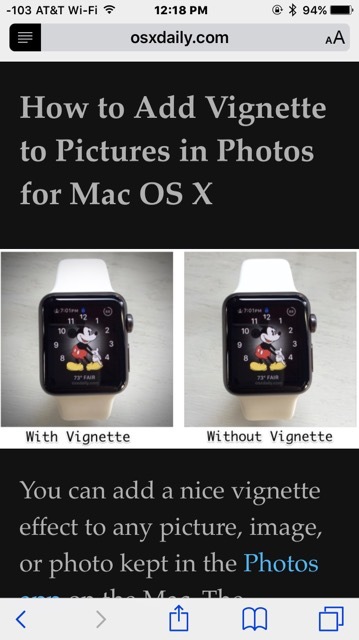 Safari Reader is a nice feature of the Safari web browser for iOS and Mac OS X that allows users to simplify the look of a webpage or article to just focus on the text and image content. 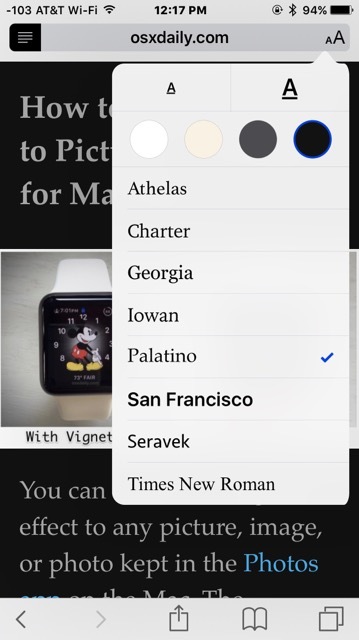 Now with the latest versions of iOS, you can customize the look of Safari Reader too, and choose a background color, a font, and even adjust the font size of onscreen text on any webpage on the iPhone, iPad, or iPod touch. This makes Reader particularly great for users who are reading text on webpages and find it too difficult to read, or perhaps they want to implement their own ‘night mode’ and reduce the bright white glare of the text background. The customizations are possible in Safari for iPhone, iPad, and iPod touch. You’ll notice when playing around with the customizations that the effects are instant, giving you a live preview of what the freshly styled Safari Reader view looks like. Safari Reader is particularly useful on the iPhone where it can turn a non-mobile friendly page into a mobile friendly and more readable version, particularly if you’ve requested the mobile site from the desktop site and it failed to load, or perhaps because the site didn’t have a mobile version or it still wasn’t friendly enough to read. 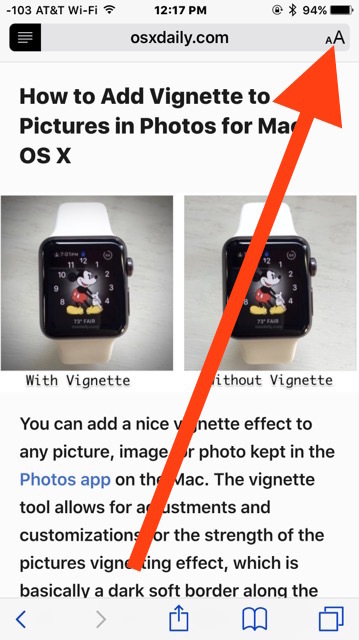 Interestingly enough, the ability to adjust only the font size this way was around in some of the earlier versions of iOS Safari, but was removed for 7 and 8, to make a return again in iOS 9 Safari, with even more customizable options and reader improvements. Thus, if you don’t see the feature, it’s likely because you haven’t updated iOS to the latest version, or you’re on a very ancient version. I use the Reader all the time and I hadn’t noticed this. It works nicely. Thanks for pointing it out. That makes it a lot easier to read. Thank you much! 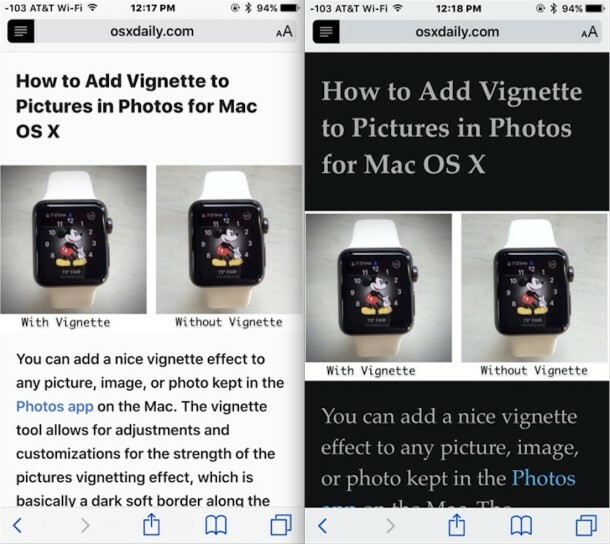 Is there a way to customize Safari Reader in OS X? You’d think so, but I don’t see an option to change font in Safari Reader for Mac the way it is in iOS. More likely it’s embedded in a p-list somewhere, and screwing with it will only bring heartache for mere mortals. Alternatively, the front-end dev set font properties in the style sheet and the only control users have is whether to use Reader or not. If you know definitively how to control Reader font properties in OS X I’d appreciate you posting the steps. Thanks. For Mac, click to enter Safari reader, then click aA, then click the new font you want to use. It looks the same. Why do people use Safari? I’ve used FFox and Safari and could NOT understand why on earth people put themselves through the torture. I’m not being snippy. I’m an Apple hardware everything guy but am perplexed over the use of Safari. What does it offer; perhaps I’m missing something? John – Firefox has grown on me and I use it in development along side Safari, but there are things, including Eco system but also mainly general features I love about Safari. Reading lists, syncing between my MacPros, iPads and iPhones and Apple TVs (I know Firefox had Sync but I have not tried), and on top of that against my better judgment I’ve really grown to like iCloud. I like the preference pane in Safari better. 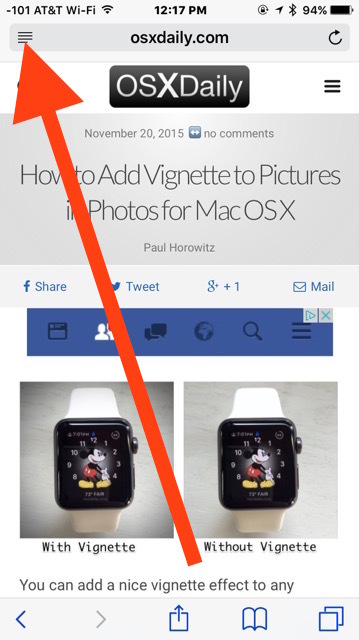 I like bookmark management better in Safari. And the list of small things just add up. Fact is I use both. I use Firefox with Focus, Umbra and Gemblocker to help keep trackers away from Safari. And Safari IS NOT slow. I may not like the way it handles resources, especially with YouTube but I have a way around that. So, what’s your beef with Safari? Over here it’s great. Good Apple Eco system experience for me. I use Linux on my mac hardware most of the time. OS-X is still there, but seldom touched. I use Safari on the mac when I am in OS-X.